We all know that the most common form IT takes is Pennywise. A pale faced clown with red hair and an oversized forehead. But, what is the it of IT? Below I will explore the ontological fabric of Pennywise the Dancing Clown. What frame work supports Pennywise’s existence? How does this support operate in the subject to maintain the continuation of the clown’s presence? 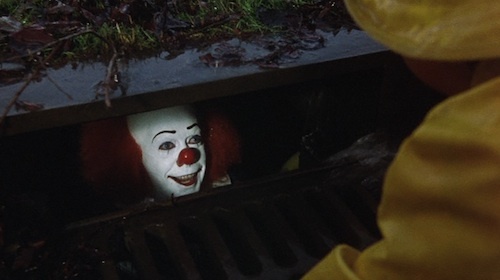 The word “it” is a third person pronoun that captures the spirit of Pennywise. An entity who exists only in so far and to the extent that it is believed in. In this sense, he is wholly dependent on his victim for his power. Pennywise’s sensory intrusions, bloody photos, bloody sinks, balloons, sever to shake the ideological fabric of the victim. Pennywise is only an object for himself in so far that he is for others. The clown’s power lies in this interplay of transference. The power of fear. A fear dependent on fear. A tautological transfixion, where the bloody sink is only as powerful as the fear given to it by the observer. There is an interesting moment where young Beverly calls the boys over to her home to show them her sink. Up until that moment, she thought that she was only one who could see the blood. But the shared perception proved the power of the reality of the illusion and at the same de-invested the illusion of his fear properties. This projected fear has a unique presence, it materializes closed yet shared reality, shared among children, yet bores adults to the point of disassociation. Is it the child’s capacity to imagine that produces real fear? Is there a need for the whimsical? Why are the adulting fears rooted in pragmatism not enough to satiate the clown? Are death and taxes not the right type of fright? What then are the dead lights? The angelic white light emerging from the clowns punctured head. Could Pennywise be the grim reaper in a clown suit guiding a child to the balloon at the end of the tunnel? And what exactly floats? And where is the down of the down here? The clown seems to be referring to another plain of existence rather than bodies floating in sewage? But then Pennywise is independent of the religious parables. 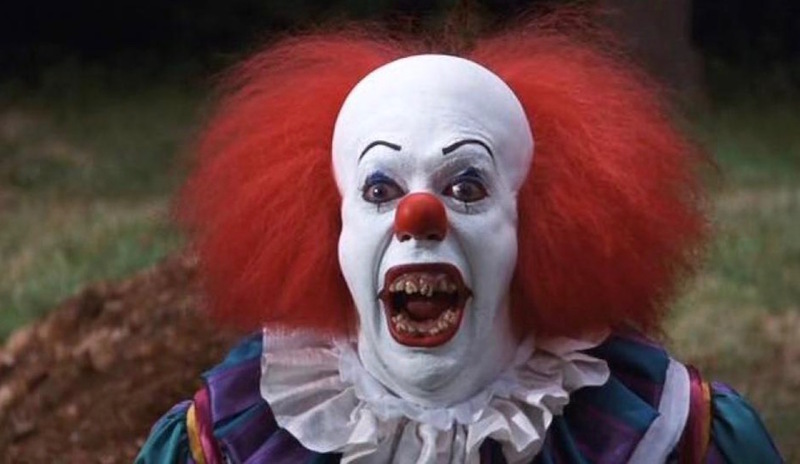 Unlike the thing, Pennywise has a personality, rather than a parasitic imperative to assimilate. The clown feeds, like the witch on the bones of children to continue immorality. The thing immolates and spreads indiscriminately. Nonetheless, these two creatures share a similarity in name, and especially in the clown’s final spider-like form. The thing, is a vague reference to something barely conceivable, but nonetheless, exists. Both, the thing and the clown are donned with vague disrupters, only definable as a point of reference to an unexplainable phenomenon. In the end, IT never needed to be a clown, or materialize balloons, or blood. There was no specific form or mold IT needed to take. The clown could have taken any form. But, there is a sense in which the clown is an adaption to the suburban environment, where the large-scale catastrophe would be investigated, and leave little room for effective human harvesting. The IT’s previous iterations alluded to briefly took the form of disasters which recalls an invisible force like that from Final Destination, orchestrating death from behind the vale.